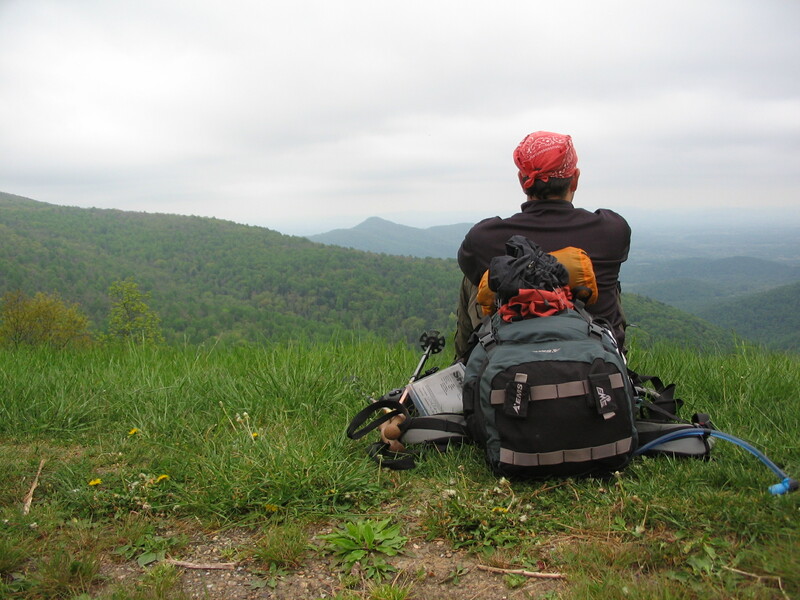 Along the Appalachian Trail in Shenandoah National Park, Va.
Gulf Coast singer-songwriter Jimmy Buffett wrote in his salty travelog/autobiography that the best kinds of adventures are the ones you share with others, and with each backpack I finish or road trip I undertake, I find this to be more and more true. There was a time, just a few years ago in my mid-20s, when solo hiking or getting behind the wheel of my car sans passengers would have been a preferable way to travel; no one’s itinerary but my own, no one’s needs to care for buy my own, aiming to embody Walt Whitman’s promise when he wrote, “nothing exterior shall ever take command of me.” I confess to a little ego boost whenever old friends would gape at me after hearing about some solitary road trip to the ‘Daks or hiking the A.T. down in the Smokies. Truth is, though, I was never quite comfortable hiking and traveling alone. Any egotist will tell you, it’s boring having daily conversations with yourself for years on end. Now I’m almost 30, and I can hardly imagine taking a trip without one of a few close companions with whom I’ve shared a trip or two; Chris buying cigars on a muggy but festive Duval Street; Linda and I pinned inside our tents by a New Hampshire sleet storm; and Alison, my fiance, who eyes glazed in wonder at the salmon ridges and evergreen forests of Secret Canyon Wilderness near Sedona. The sights, sounds and tastes of those and more than a dozen other locales certainly made those experiences unique, but it was the companionship that made ’em memorable.